Daemon Songs: Composed For Baritone And Piano. Daemon Songs was commissioned by: Harald Becker. A recital organized and televised by the Vafopoulion Cultural Center and the Municipality of the city of Thessalonki. Theatre of the Vafopoulion Cultural Center, Thessaloniki, Greece, June 7, 1995. Composers’ Workshop Concert, Clapp Recital Hall, The University of Iowa, School of Music, Iowa City, IA, February 8, 1998. 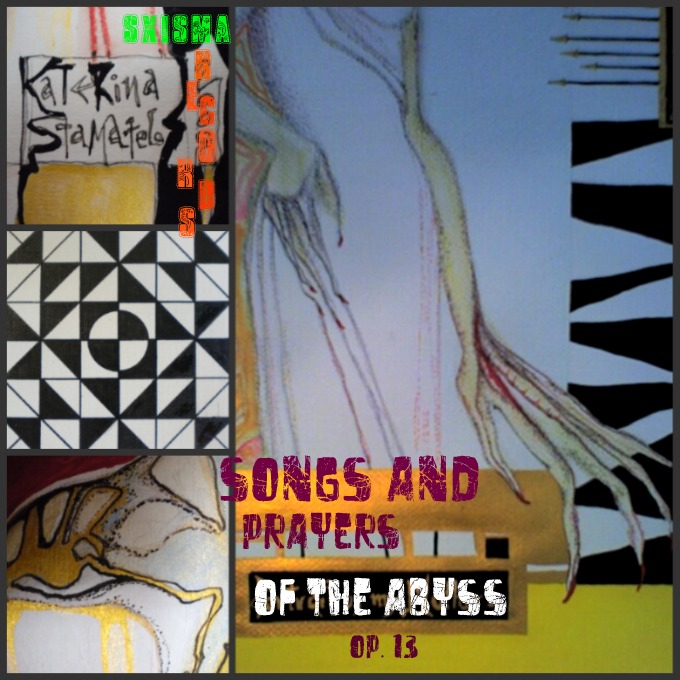 The recording of this work, appearing on the SXISMA RECORDS album Songs and Prayers of the Abyss is based on this second live-performance. For the poetry I had used three languages since, during that time I had been living in Austria, Canada, Greece, and the United States. Expressing myself in these languages (Greek, German, and English) only felt natural. The term Daemon is not used here with its satanic meaning, but rather in concord with Dostojewski's sense of "nightmare" (songs 4, 7, 8, 9) and Socrates' "inner voice" or the voice of his "Unknown God" (songs 1, 2, 3, 5, 6, 10). The recording of Daemon Songs was done during the live performance of the work at its second performance, as stated above. BUY DAEMON SONGS ON AMAZON!